Rachel Arnow, you rock!!! Your comic should be in every newspaper around the world! HAHAHAHHAHAHAHAHAHAHAHAHHAHAHAHAHAHAHAHAHAHAHAHAHAHAH!!! I think that manatee just looked in a mrror!!! 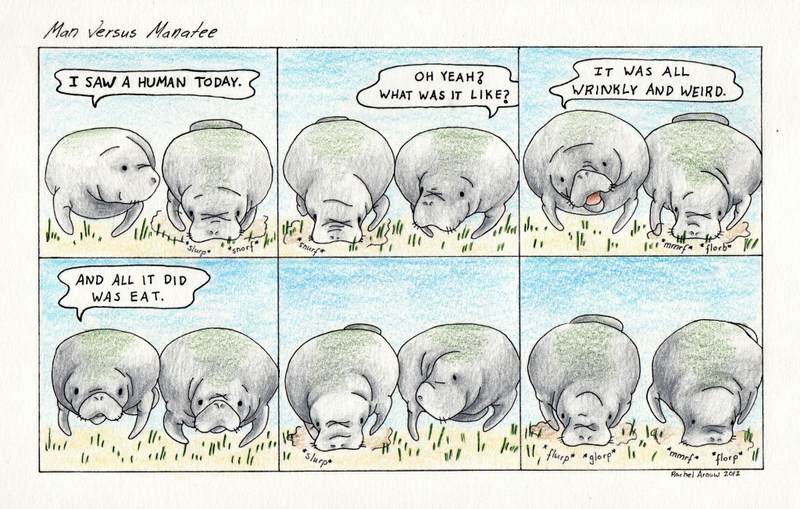 I can imagine the manatee saying, “It was all wrinkly and weird” Southern style.